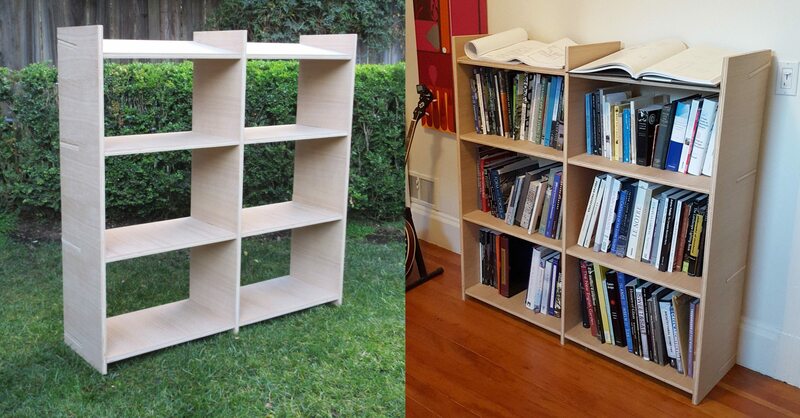 A Customizable, Universal, Cost-Effective, DIY Shelving prototype. emphasis on object as structurally honest tool for living. 2. 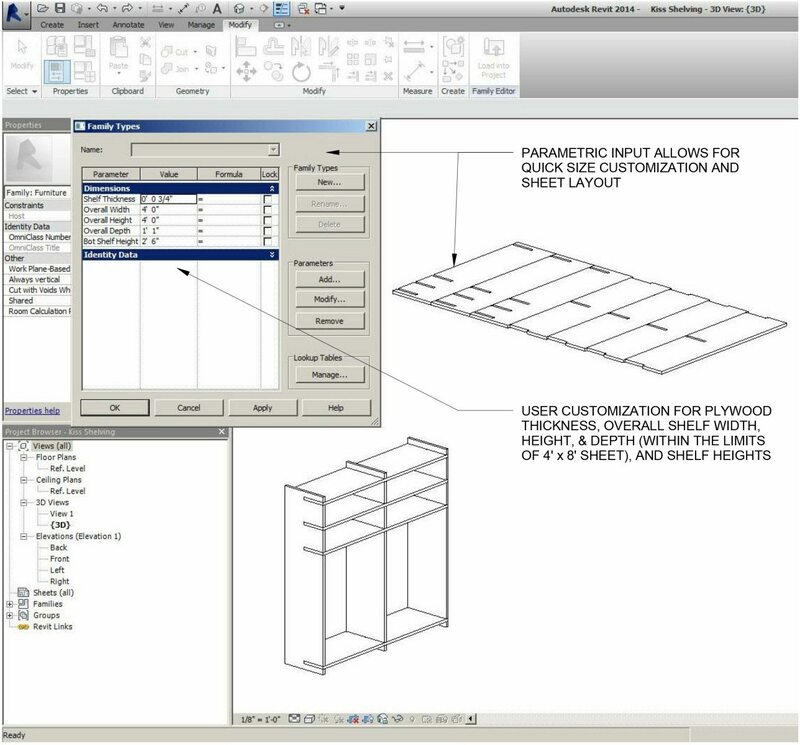 User inputs desired shelf dimensions and number into flexible model. 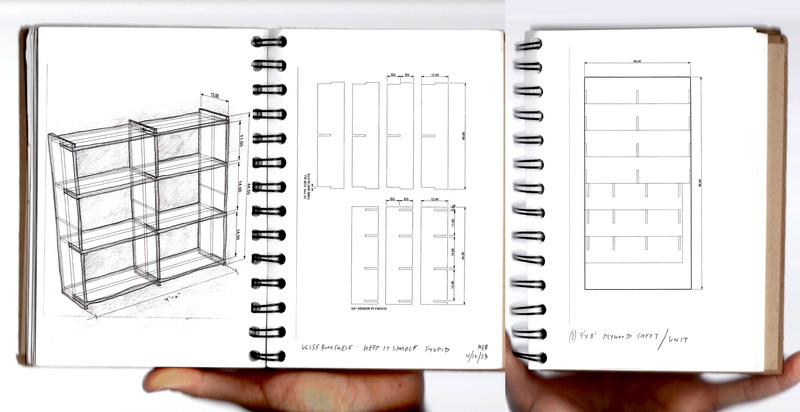 Parameters ensure that unit material is contained in 1 sheet of 4’x8′ plywood. 3. Parametric 3D model continuously updates output of 2D tool paths. 4. 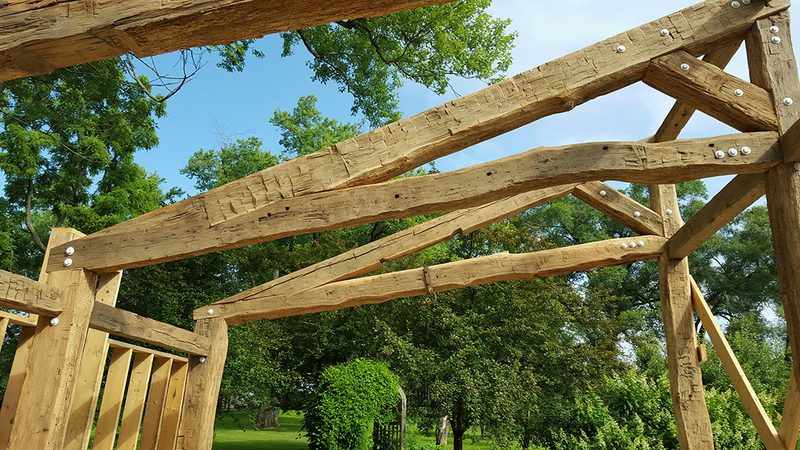 CNC Production of K.I.S. Unit. 5. 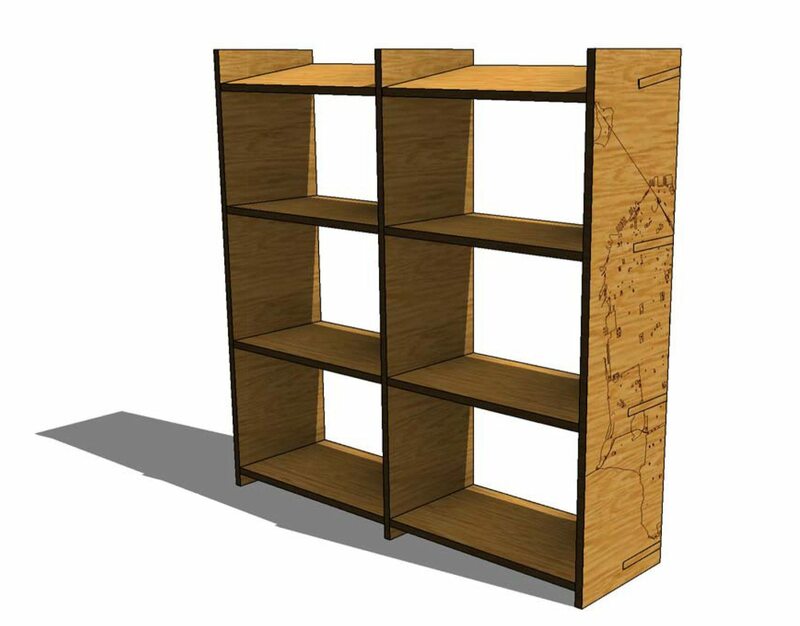 End-user has customizable options (lasercut end panel etching). 6. 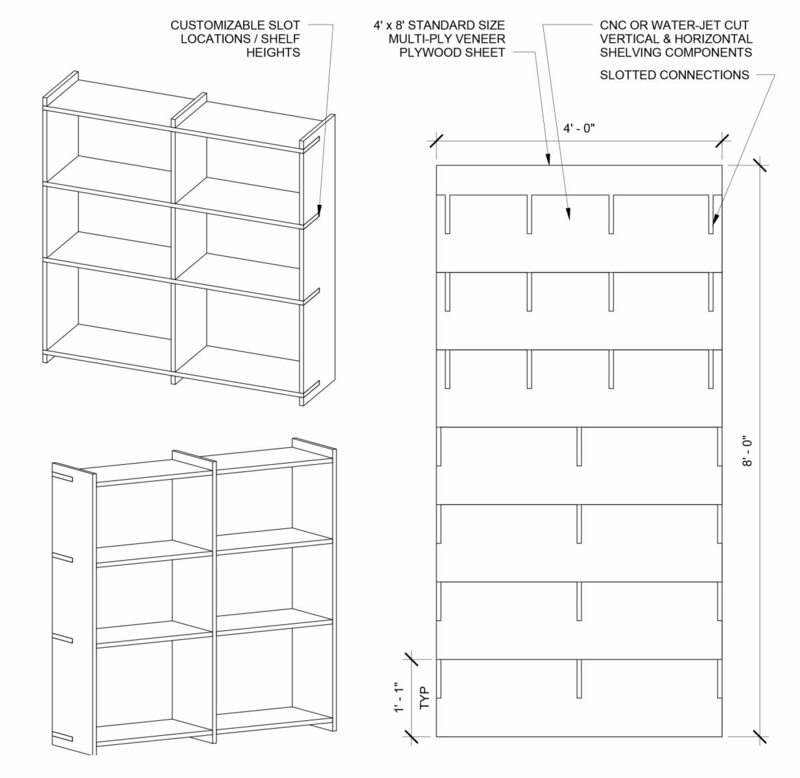 Assembly of unit using pre-programmed, parametric, slotted joints utilizing no glue or fasteners (easy to disassemble / re-assemble).